A case study is conducted on two broadband public networks in Buffalo and the Adirondacks. The focus of the study is on the pro­cesses involved in the development of broadband public networks funded by the New York State Advanced Telecommunication Program. This study evaluates the two network projects by tracing their developmental processes, from network design to the stabilization of metropolitan public networks. 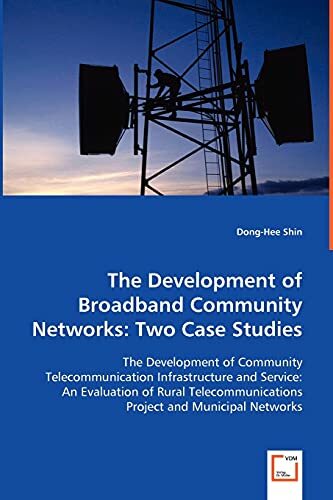 It examines the directions, natures and features of these network developments by looking at the following research questions: How are broadband networks planned, designed, and implemented in communities? What are the consequences of the network developmental trajectories? This study provides the governments with a description of the developmental process of the two networks. It provides policy-makers and regulators with ideas for better practice of state and nationwide telecommunication implementation and development. By being aware of the developmental processes, governments can have a reference for further projects, such as upcoming e-government and statewide Wide Area Networks. It provides a conceptual base for understanding contemporary and future public networks.